Improve your marketing knowledge by downloading our 10 ‘MBA In A Day’ infographics on key topics and strategies to grow your business. We invite you to bookmark our library of 10 infographics which cover strategies for growing your business. 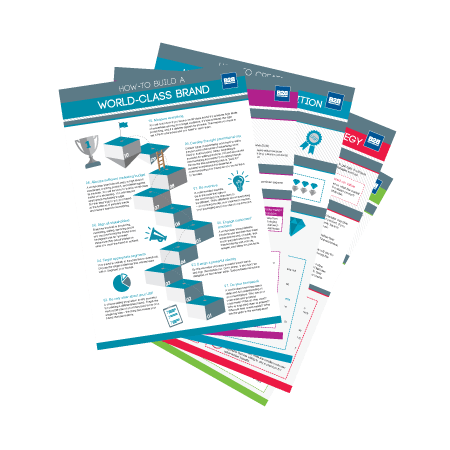 Each marketing topic is summarized on one page which can be printed as a quick reference guide. They cut to the heart of the what, the why and the how of each subject. They are based on our 20 years of researching business markets and have evolved from the 3,000 projects we have carried out in almost every vertical in every continent. Well, OK, maybe they won’t earn you an MBA in a day, but they are a great summary of 10 vital marketing topics. Use them as a quick refresh. Share them with colleagues so you talk the same language. Follow the guides to win a competitive edge.